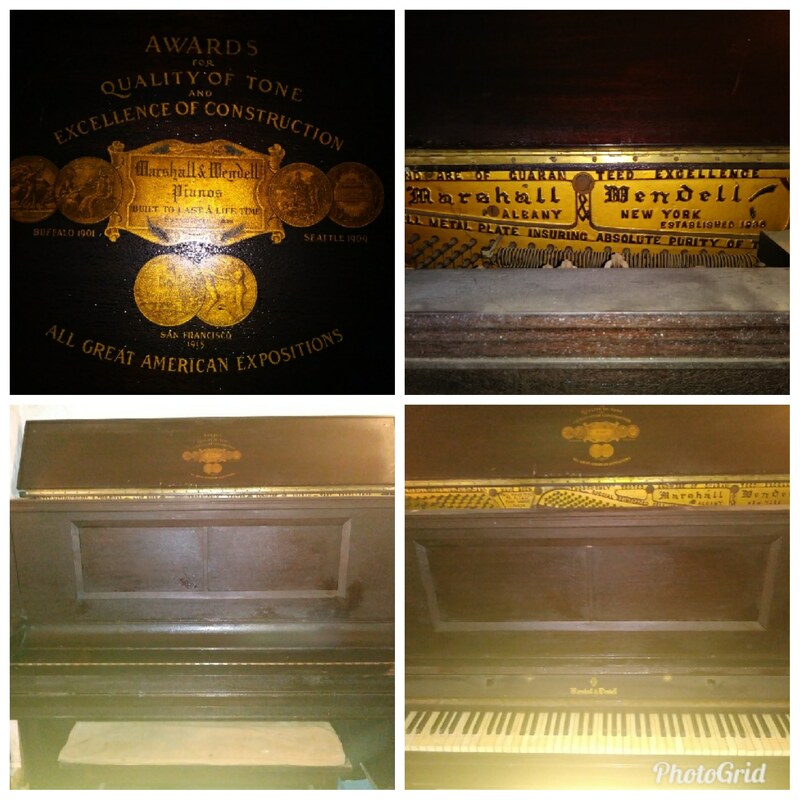 At least pre 1940 (maybe older).Upright player piano, with bench. 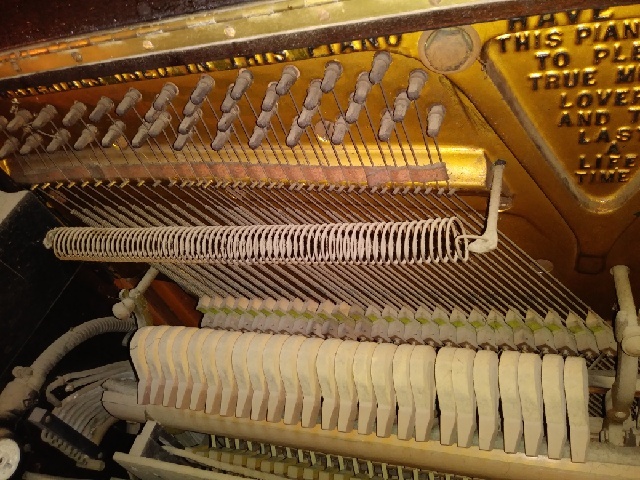 In working condition, (keys all work). Inside is In beautiful condition, but not restored. Needs work. 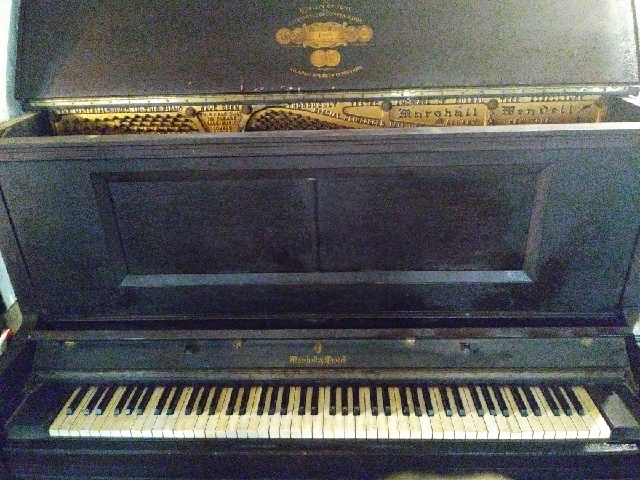 Belonged to great grandmother, she used to play it in silent movies. Still has old sheet music inside on the spool. Has not been moved around ever, it has always been Located at family residence in Hollywood CA, a home that has been in the family since 1923. 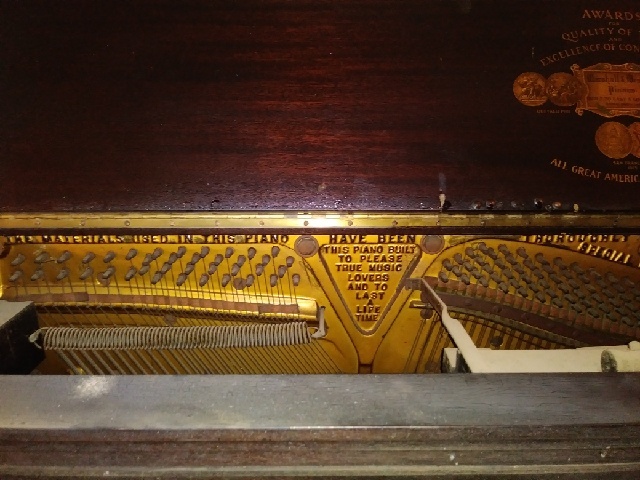 Has been in the family for 4 generations.Was played by a silent movie pianist. Has been in the same place, in the same home for at least over 70 years.